Want to show off while also protecting your vehicle from scratches and stains? Get professional car detailing in Honolulu from the experts at Shea’s Luxury Detail. We offer full exterior auto detailing and professional ceramic coating for cars, trucks, SUVs, and motorcycles of all makes, models and years. Contact Shea’s Luxury Detail today to book your appointment. Why Choose Shea’s Luxury Detail? Who is Shea's Luxury Detail? 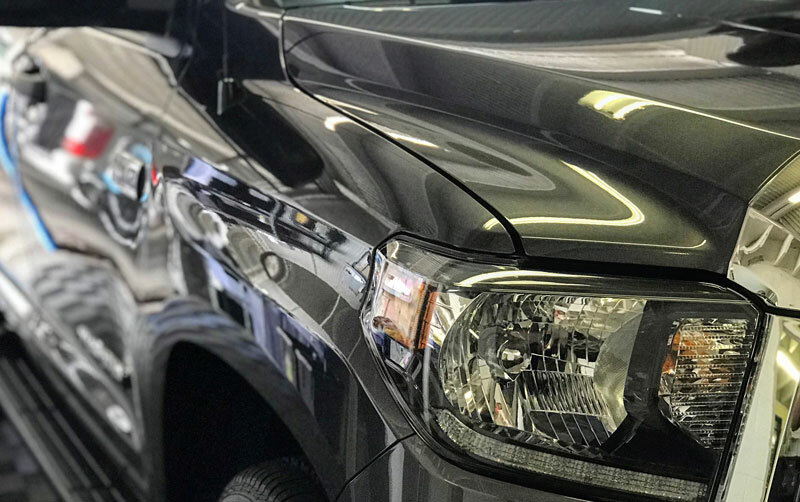 When you want your vehicle to look pristine, or you’re looking to protect it from potential scratches and stains, the experts at Shea’s Luxury Detail can help polish and protect your vehicle. Contact Shea’s to schedule your professional auto detailing today, and keep reading to see what we can do for your vehicle. Professional ceramic coating from Shea’s will ensure that your vehicle stays safe from scratches, weather, and stains. Ceramic coating bonds with your car, creating a protective barrier and preserving your paint. It will stay on for years and is guaranteed to help protect against small damages like scratches. While car washing machines are fast and convenient, they can often damage your vehicle with harsh chemicals and brushes. At Shea’s, your vehicle will be given the luxury treatment with a thorough but safe hand washing. We’ll clean your vehicle from top to bottom and have it looking even better than brand new. Though it doesn’t last as long as ceramic coating, a polymer sealant wax will protect your vehicle for up to three months. We can also rejuvenate your molding and trim as well as protect it from any further damage. When you need the best exterior auto detailing in Honolulu, make sure you call the experts at Shea’s Luxury Detail. We also offer professional motorcycle detailing services. Contact us to book your appointment today.